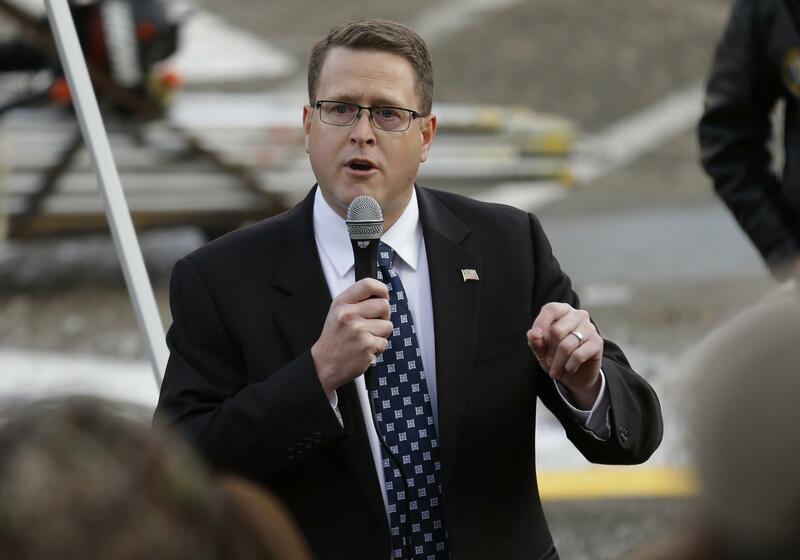 UPDATED: Fri., May 26, 2017, 10 p.m.
A Spokane County judge refused Rep. Matt Shea’s request to have a defamation lawsuit against him dismissed on the grounds that he can’t be sued while the Legislature is in session. Spokane County Sheriff’s Deputy Travis Pendell filed the lawsuit against Shea and Scott Maclay after both said publicly that Pendell provided the gun used by Roy Murry when he killed his former wife’s parents and brother. Maclay published the allegations on his Facebook page and Shea repeated them on his podcast. The lawsuit Pendell filed alleges that Shea and Maclay conspired to spread “provably false, provocative and defamatory information” about him. Shea’s attorney, Marshall Casey, argued in court documents that the lawsuit was unconstitutional and required Shea to devote time to it instead of doing his work as a legislator. Filing the lawsuit also “encouraged the media to contact Mr. Shea,” which was a “further interference with the legislative session,” he argued. Superior Court Judge Maryanne Moreno ruled that the lawsuit will not be dismissed because there’s no case law to support a dismissal, said Pendell’s attorney, Michael Love. The lawsuit will instead by held in abeyance until the legislative session is over. Shea also filed a motion to have two paragraphs with allegations against Shea and Maclay removed from the lawsuit, Love said. That motion was also denied. Published: May 26, 2017, 7:49 p.m. Updated: May 26, 2017, 10 p.m.